Note: I spoke these words yesterday at the reception after the funeral. The original plan had been to speak these words at the committal with an empty wheelchair. Weather, and my own exhaustion, changed the plan somewhat. These words are a reflection on my last conversations with my mother. One last word regarding my mother’s passing. Because her story has inspired so many, this epilogue is a frank sharing of a concern Mom and I held together these past 28 1/2 years. Over the years, nearly everyone who spoke to her, or to me about her, would talk about her strength. Sadly, this often led to these well-intentioned relatives and friends making reference to the day of my parents’ accident, as if that day defined her life (and mine) forever after that. Part of what these people were actually seeing, probably unknowingly, was a Rosalee who was determined NOT to be defined by the events of one really horrible day in 1986. It was about carrying on. That’s all she could do. Call it strength if you like. For her it was far more about necessity. While Mom and I disagreed on quite a lot as I grew older, this one sentiment–not being defined by July 18, 1986–was something we were always in lockstep agreement on. We both lived by this pretty resolutely. Strength is NOT one of the Bible’s fruits of the Spirit. It has a certain usefulness…but it carries with it quite a few liabilities as well. I feel it is better not to see Mom’s story as about strength, but rather how she tried to use her strength to a higher end. Her story is about as pro-life a story as I know. She fought so strongly to LIVE. …because WE WON’T BE NEEDING IT ANYMORE! When Christ comes again, two broken bodies will rise out of that grave in Ixonia. They will rise imperishable because they had Christ’s victory in this life. They had the victory proclaimed in the “It Is Finished” of the cross and renewed again in the “Christ is risen!” of the empty tomb. And that’s all there is to be said! I pray we all learn to treasure the victory of Christ and that we die in His strength and not our own. So, we give 1 Cor. 15:55-57 the last say. It’s Ash Wednesday 2015. Every year since coming to Clyman in 2001 I have administered the ashes on the people I am privileged to serve and given them the one message they probably don’t enjoy hearing. Dust you are…and to dust you shall return. This year, of course, it will be different as the sting of death is felt in the salt of my own tears. Nothing levels all of us quite like the equalizing truth of death. Dust we are…and to dust we shall return. So what shall we do? Wallow in the sadness and finality of it all? NO! On Ash Wednesday we face the bitter reality of death and gain the strength to live from the blessings of Christ’s sacrifice and death. When we face the reality of our death, the Good News of the forgiveness which brings eternal life is made that much sweeter. We do not beat our breasts aimlessly, mourn our dead without purpose, or face our future hopelessly. We are dying every day in order to live. Jesus came that we “might have life and have it to the full” (John 10:10). Today begins a 40-day journey that does not end at the cross. The journey, in truth, doesn’t have an ending. Today’s message of death begins the journey to the cry of resurrection. The victory is ours in Christ and that means that our journey doesn’t end at the grave either. Our lives in Christ don’t have an ending. We may return to dust, but only temporarily. When Christ returns, He will raise His people in the same way He created them, out of the dust by His word which stands forever. The Lord Jesus Christ bless you and give you strength for the journey. John 15 5 I am the vine; you are the branches. Whoever abides in me and I in him, he it is that bears much fruit, for apart from me you can do nothing. That’s a pretty bald statement. If Christianity, the true faith, is likened to being a branch on the Vine, then it goes without saying that there is no branch without the vine. The vine comes first and the vine’s nourishment creates the branch. The problem is…the majority of Christians today in America do not talk about faith this way at all. Faith comes from the vine, but in our modern “faith talk” we don’t talk about the Vine. We talk first about ourselves. Faith is not “being in the Vine,” that is, “being in Christ.” Faith today is about “me and what I do for Jesus,” which makes Jesus the object of faith rather than the subject of it. It’s like saying Jesus is actually the branch rather than the vine. Today’s “faith talk” is about deciding for Jesus, making choices for Him. In today’s “faith talk,” you and I are the Vine despite what Jesus actually says. The devil, the Father of lies, loves to get Christians talking this way. In the end, when many Christians start talking about “their faith,” they are talking only about themselves. It’s everybody’s favorite subject. Not Christ and what He did, does, and continues to do for me. But ME and what I did, do, and continue to do for Him. Me first is NOT Christianity. Grammatically speaking, when Christ is the object rather than the subject…He already is in second place. Apart from me you can do nothing. Or as Paul put it, Faith comes by hearing and hearing through the Word of Christ (Rom. 10:17). Observe this! In Paul’s language, hearing doesn’t happen because someone decided to start listening. Hearing only happens “through the Word of Christ.” Christ and His Word open the ears. That puts Him in first place, whereas deciding to finally listen once again relegates Christ to second place. 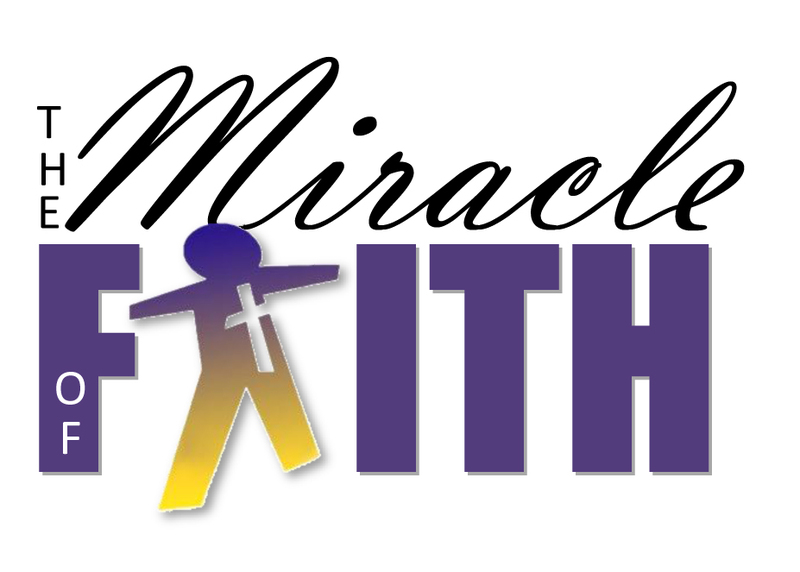 Faith, Biblically speaking, is a miracle. In Mark 7, the deaf man doesn’t choose to hear Jesus. Jesus heals him and opens his ears. If you and I are deaf to God’s Word, then faith cannot help but work the same way. Jesus’ words bores holes in our dead eardrums, speaks to us, saves us and grants faith. The same thing for the blind man in John 9, who certainly didn’t even ask Jesus to be healed! The same thing for Lazarus in the tomb…NOT raised without Jesus. To count faith as “my thing,” or “my decision,” fails to recognize that we would not know who Jesus was in order to “decide” if we had not already heard about Him. Where did that faith really begin? It began with Christ and His Word. This is why I am a Lutheran. Because while other churches and preachers are busy trying to get you to make decisions you do not have the power to make, I, as a Lutheran pastor, am only called to love you enough to tell you the truth. The truth? Jesus creates faith through His Word. The truth? Apart from Him you can do nothing. The truth? Faith comes by hearing and hearing through the Word of Christ. The truth? It’s not your faith. It’s Christ’s faith and it is a miracle that it is accomplished in you precisely because sin means you can’t do this yourself. You’re blind, dead, enemies of God, the Bibles says. Jesus has to work this in you. Supper at 6pm with free will offering. Service at 7pm (Wednesdays starting Feb. 18).